The Rotary Club of Northborough came up with a unique approach to publicize Rotary to the public. Andy Dowd, a Northborough Rotarian, published a “Who We Are” Rotary statement in one of the local publications, which I repeat below. I think he did a great job of capturing the essence of Rotary in a few words. The club has received excellent feedback on the article. Has your club published similar articles in the local media? Send in examples for our weekly District Newsletter. The Northborough Rotary Club meets on the first and third Tuesdays at 6:00 p.m. and on the second and fourth Tuesdays at 12:15 p.m. at the Northborough Senior Center, located at 119 Bearfoot Rd. Join us! We Rotarians worldwide are 1.2 million neighbors, friends and community leaders who come together to create positive, lasting change in our communities and around the world. We see differently: Our multidisciplinary perspective of our members helps us see challenges in unique ways. Our impact starts with our members – people who work within their clubs to contribute to solutions to some of the key challenges facing our community. 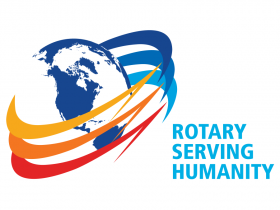 Our efforts our also supported by Rotary International, our member association, and The Rotary Foundation, which turns generous donations into grants that fund the work of our members and partners around the world. Rotary is led by our members – responsible leaders who help to carry forward our organization’s mission and values in their elected roles. We’ve been making history and bringing our world closer together for more than 100 years. Since forming in 1905, Rotary has taken on some of the toughest challenges and helped a wide range of international and service organizations – from the United Nations to Easter Seals – get started. Responsible leadership means more than just doing good work – it means making the most out of every donation we receive. Come join us and learn more about how we use our talent and treasure. July 25: Membership Corner: Are we volunteers – or are we Rotarians? What’s the difference?